One of the most highly-cited drawbacks to the HoloLens is its limited field of view (FOV), but now it appears that Microsoft has solved that problem. Based on patents filed in April with the World Intellectual Property Organization and discovered via MSPoweruser, the method involves splitting an image and projecting the two separate components then combining them. The inventors, Microsoft optical engineers Tuomas Vallius and Jani Tervo, were able to achieve at least 70 degrees FOV, even if the individual components were only able to support 35 degrees (or the FOV of the current HoloLens). Using embodiments described herein, a large FOV of at least 70 degrees, and potentially up to 90 degrees or even larger can be achieved by an optical waveguide that utilizes intermediate-components to provide pupil expansion, even where the intermediate-components individually can only support of FOV of about 35 degrees. Additionally, where only a portion of the total FOV is guided to disparate intermediate-components, a power savings of up to 50% can be achieved when compared to a situation where the FOV is not split by the input-coupler. 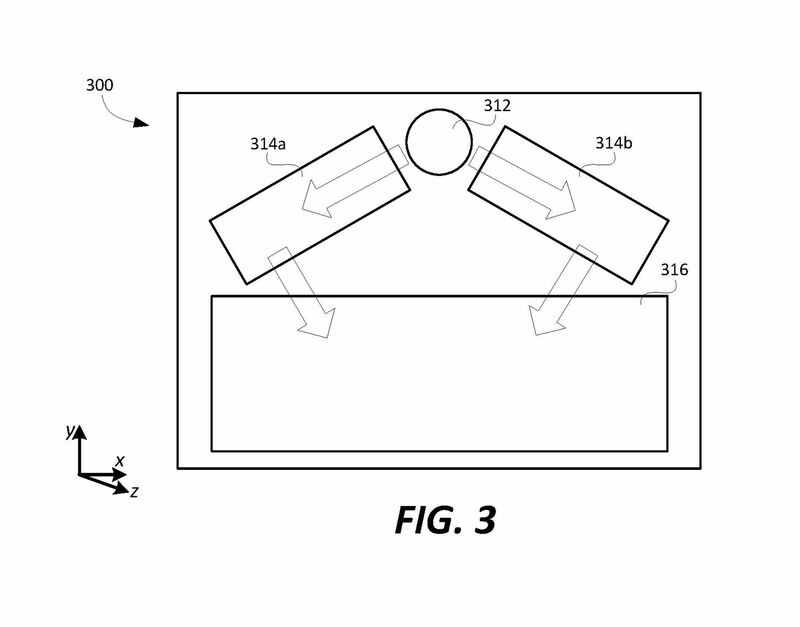 As is the case with most patents, there is no guarantee that this represents an actual design implementation that Microsoft intends to deploy, but this is encouraging news that indicates the next iteration of the HoloLens could include such an improvement.